Cheltenham Town defender Steve Elliott has agreed a one-year deal to become player-coach at the League Two club. 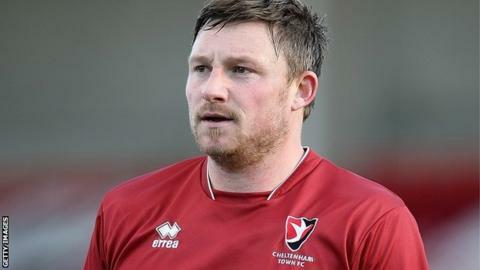 The 35-year-old has made 175 appearances and scored eight goals in four seasons with the Robins. Centre-back Elliott will now take on additional work alongside manager Mark Yates, who will head a new-look coaching set-up. "It's the perfect situation for me," the former Bristol Rovers and Derby player told BBC Radio Gloucestershire. "It was a no-brainer and it's something which I'm looking forward to starting. "I've had a fantastic four years at Cheltenham and I want to try and take the club to another level." Club captain Elliott was ever-present in Cheltenham's 2012-13 campaign and played 52 games in all competitions. He made 35 appearances this term and scored his only goal in the final match of the season against Dagenham.